Welcome to the Americas Best Value Inn of Roxboro/ NC/ conveniently located at the intersection of Highway 501 and Highway 49. Our beautiful 2-story/ exterior design Inn features 40 guestrooms nicely furnished with amenities including/ irons and ironing boards/ microwaves/ cable TV s w/ HBO/ mini-fridges and much more. Complimentary continental breakfast is served fresh daily from 6am to 9am. Free outdoor parking for commercial trucks/ tour buses and RVs is permitted. Minutes away from Hyco Lake and Mayor Lake. 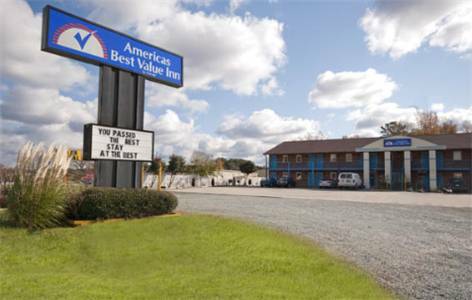 From the time you hit the road till your head hits the pillow/ we have got you covered at Americas Best Value Inn Roxboro/ NC. Conveniently located at the intersection of Highways 501 and 49 at 1006 N. Madison Blvd Roxboro NC 27573. Personal collection of all things gourd by the world's greatest gourd-lover. On display in town since his death.